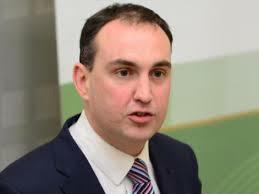 Fianna Fail TD, Marc MacSharry has said that questions which have arisen regarding the subcontracted use of laboratories in testing smears taken as part of the HSE Cervical Check programme must now be answered. He said, “It has now emerged that in the circumstances that a laboratory is under pressure with smear testing it avails of third party testing facilities to prevent a backlog with a sister company in the UK. This was confirmed by Medlab, Sandyford, Dublin earlier today. “The Minister needs to clarify how exactly this works and whether there is a different criteria applied to tests carried out in the UK or whether they are all treated the same and signed off by Irish pathologists here. “In addition, the Minister must explain whether he knew about this practice and whether he is satisfied that this happens on a regular basis and whether GPS are informed whether the teats have taken place. “Are we outsourcing the testing of smears, transcribing the results and then looking to an Irish pathologist to sign off on the test results or are they being signed off by UK pathologists? “It is important that all of the background regarding how and when tests are sent overseas to the UK is made known so that women can have full confidence in the Cervical Check programme.